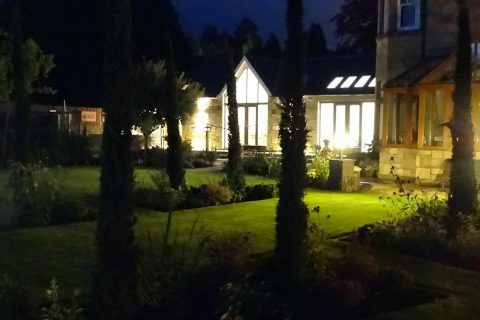 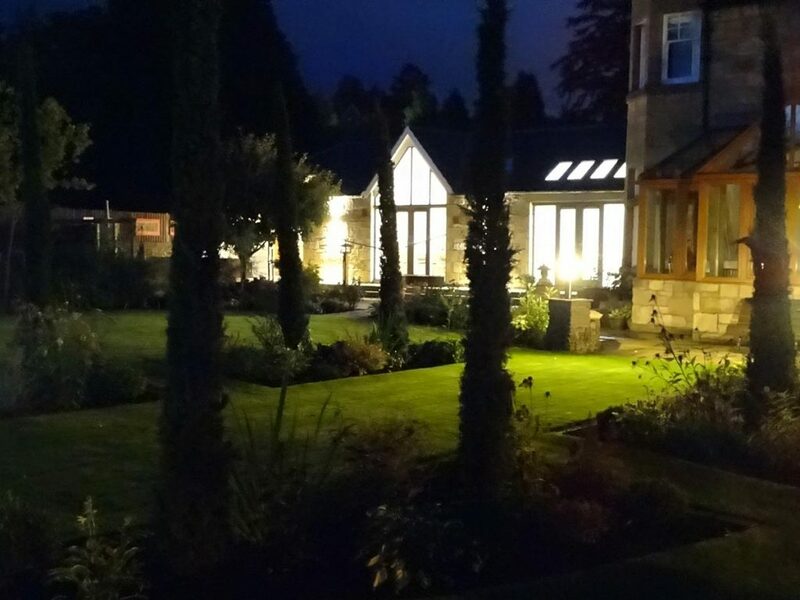 Our clients have a beautiful Victorian villa in Bridge of Allan and had done extensive works to the house itself. 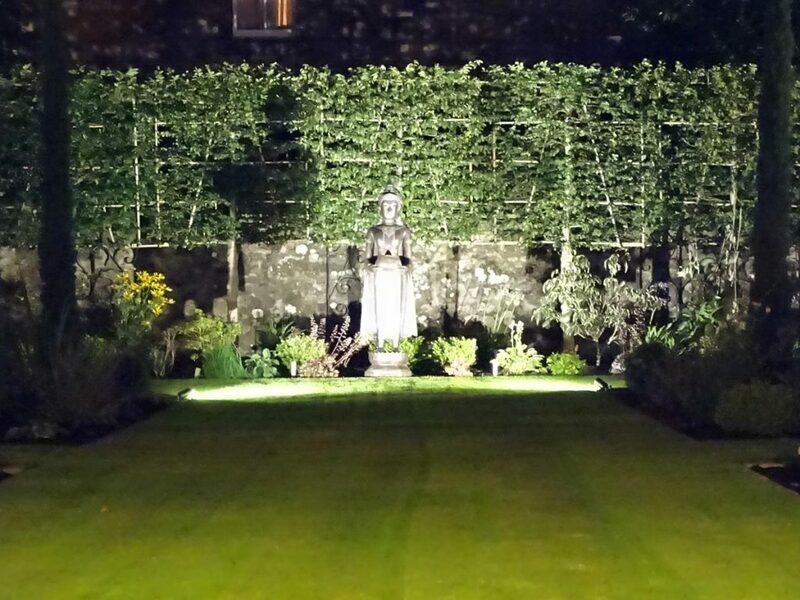 Now it was time to address the garden and bring it up to the standards of the house. 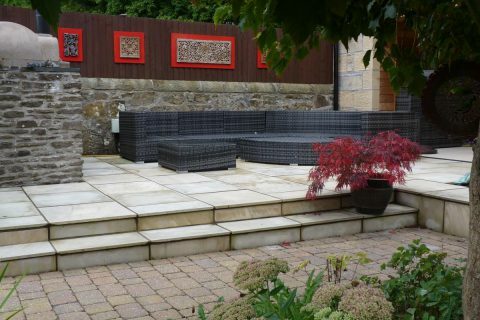 Whilst a seating area was already in place, beyond that there was just a large expanse of lawn and the garden lacked interest. 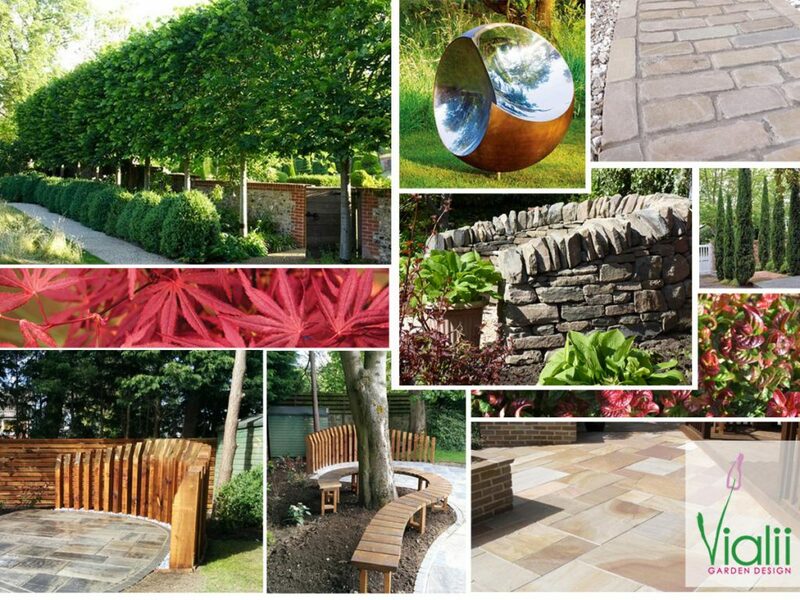 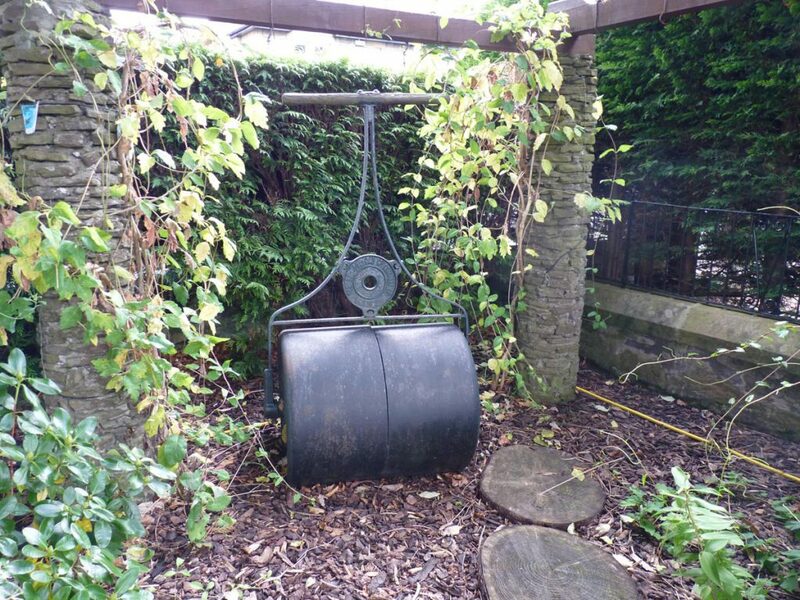 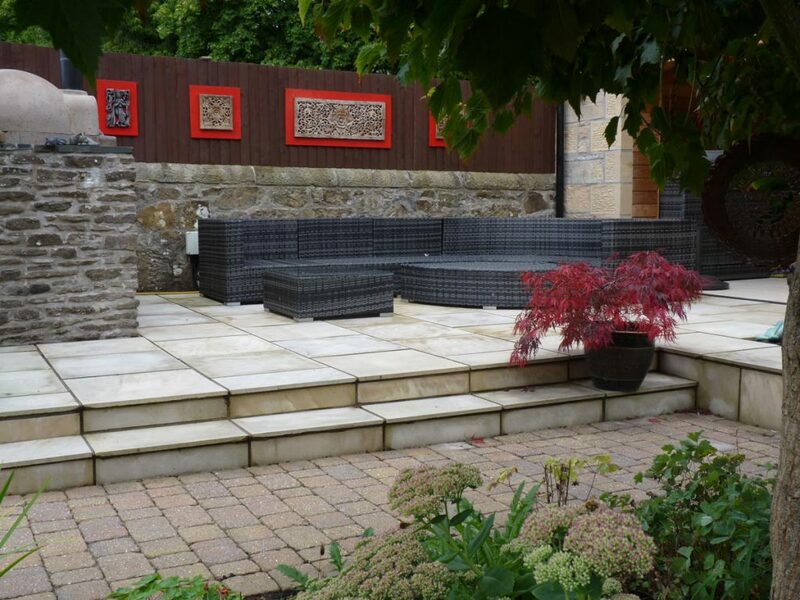 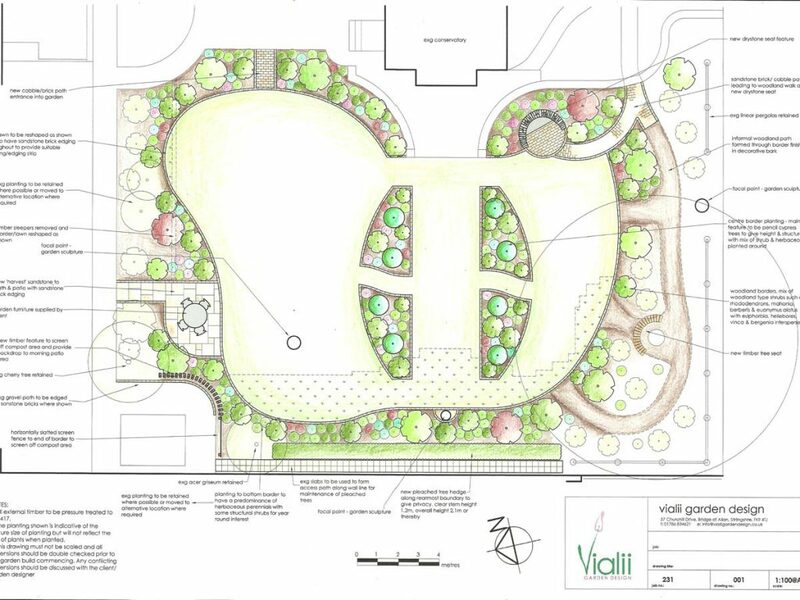 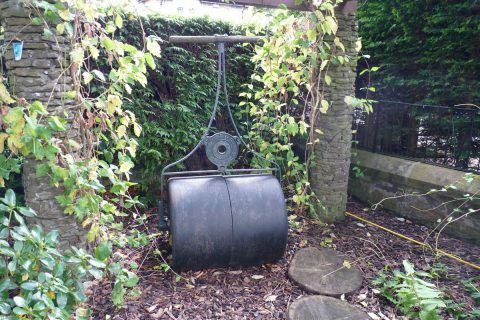 The clients were looking to create interest and journeys and have a garden to be proud of. 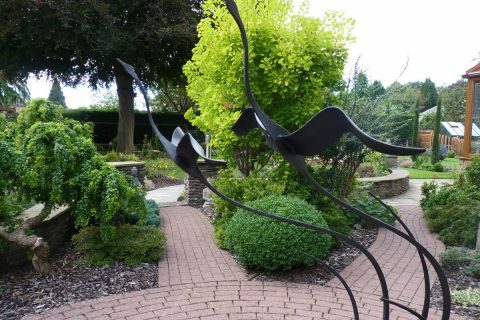 "The pleached hedge, pencil conifers, sculptures and beautiful planting create lovely perspectives from the various seating areas. " 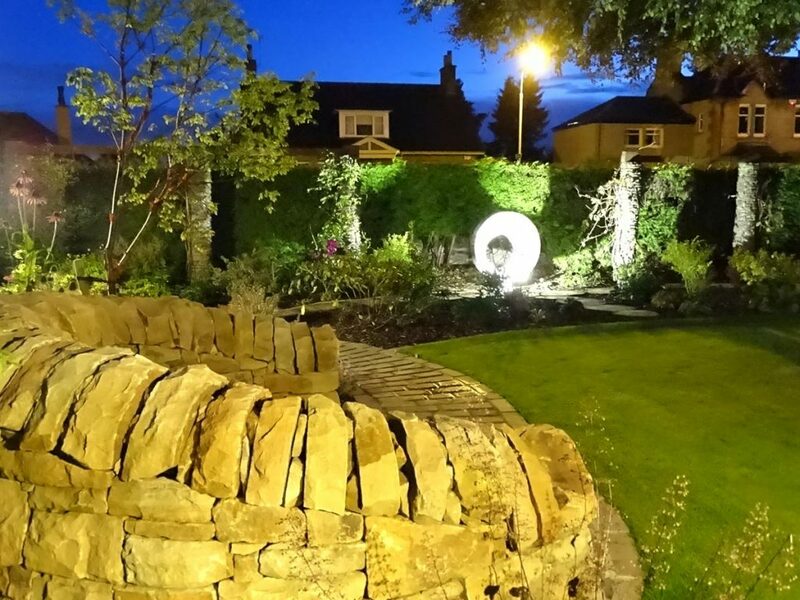 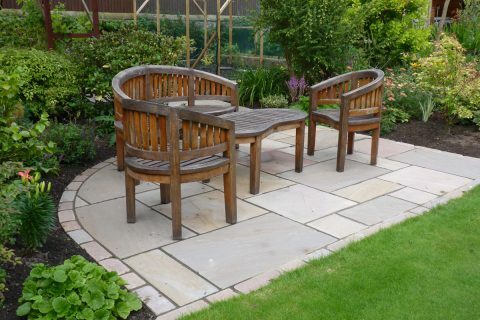 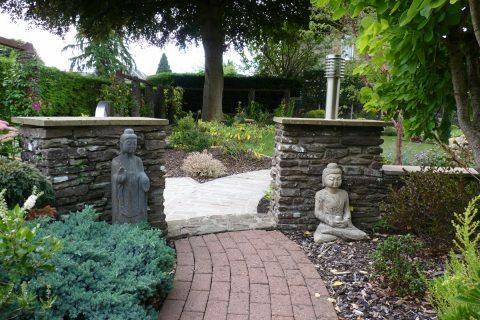 A main patio area was already in place so our job was to create some informal seating areas, “journeys” around the garden and add interest through planting and sculptures. 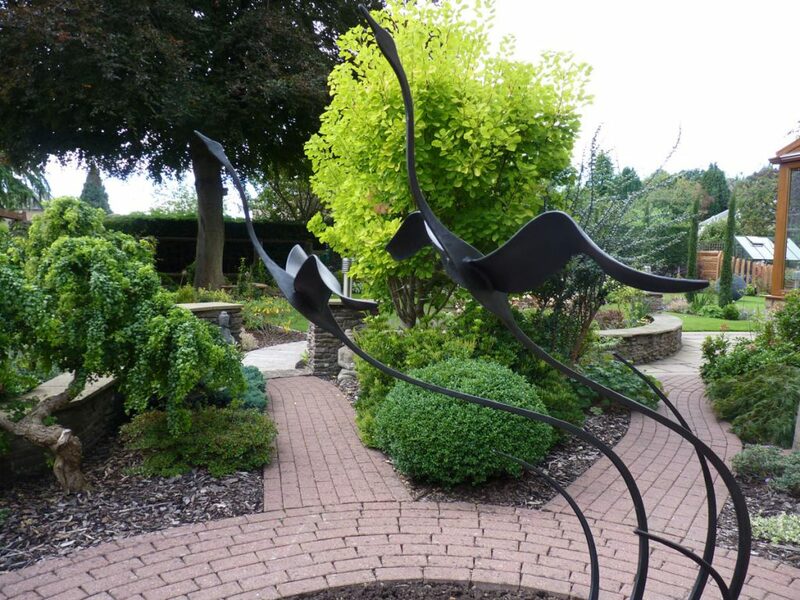 As you enter the garden from the driveway, you are immediately welcomed by a beautiful Paul Margett’s “Flying Geese” sculpture. 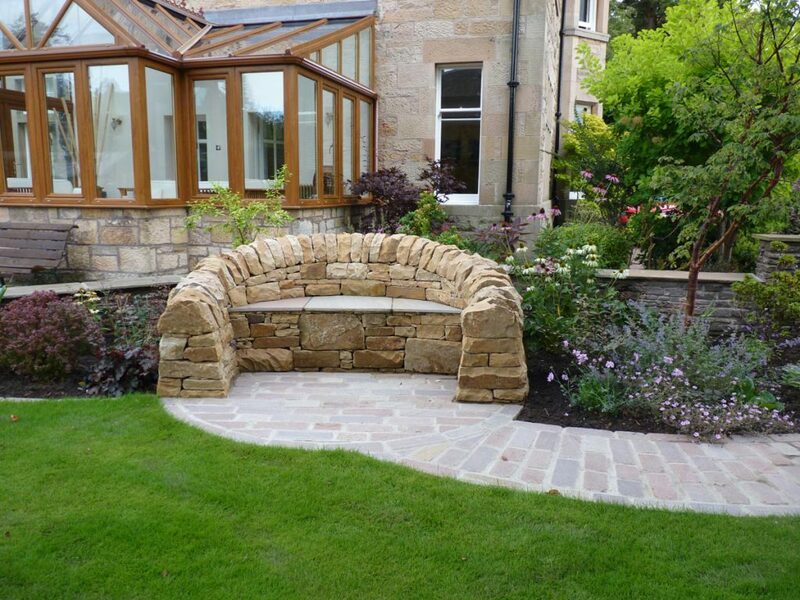 Beyond there is a new dry-stone seat providing a beautiful place to relax and enjoy the new garden. 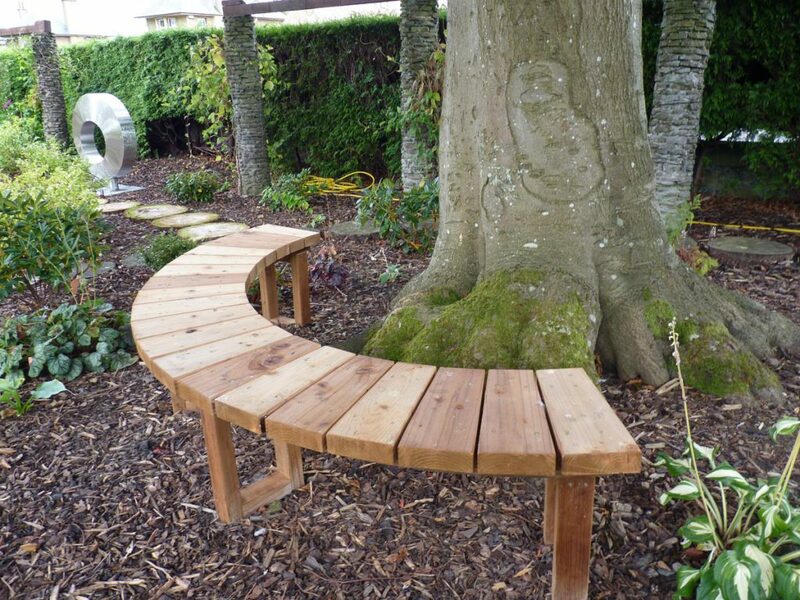 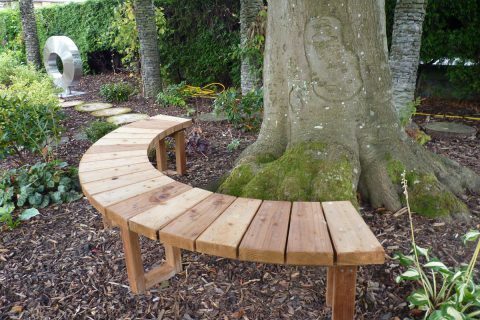 To one side is the woodland area which is filled with woodland planting with a bespoke tree seat to provide a place to pause. 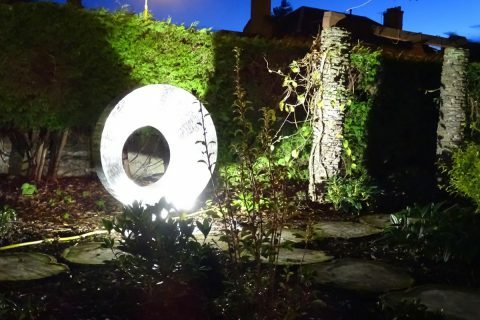 The stunning “Orbital” sculpture reflects light into this area and is a stunning focal point. 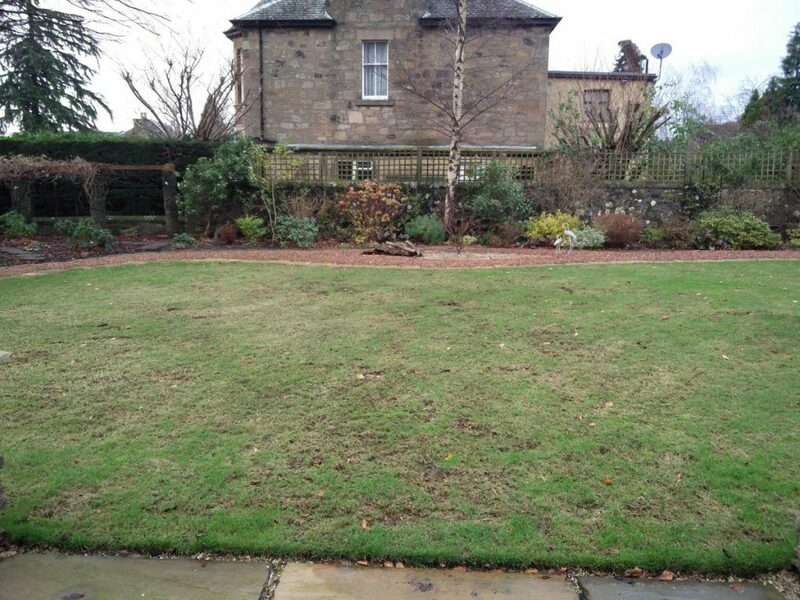 The large expanse of lawn is broken up by new flower beds, edged in sandstone setts. 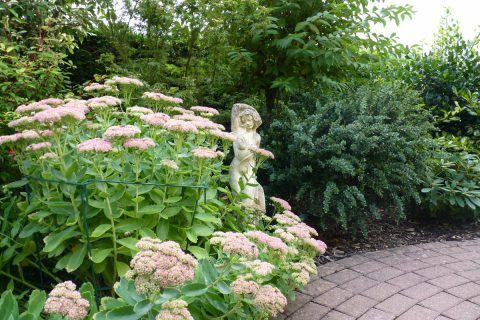 The beds are a mix of shrubs and herbaceous planting providing year round interest. 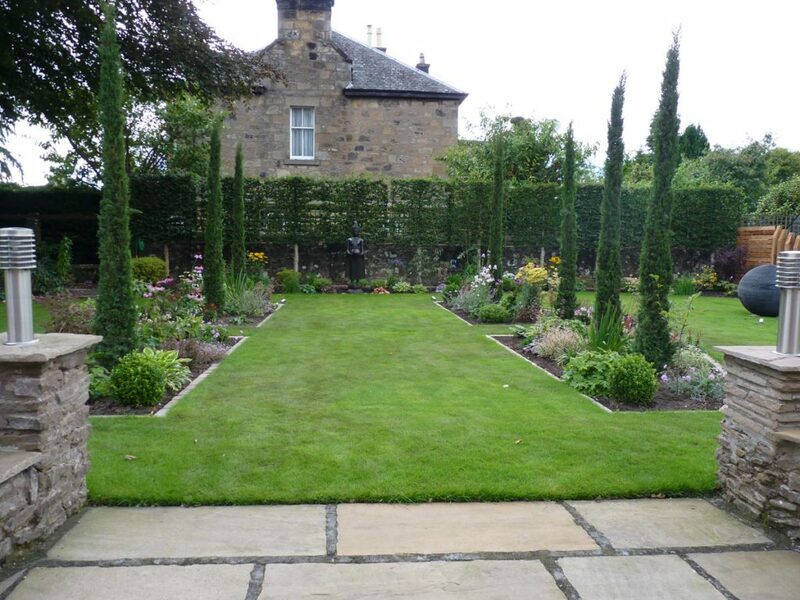 Each bed has two cypress trees adding height to the garden. 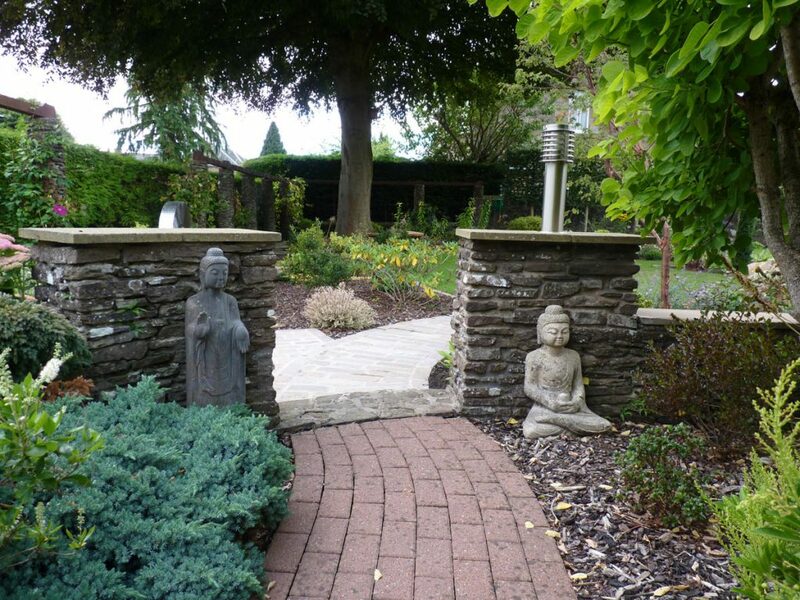 The large Buddha sculpture creates a strong focal point in the centre of the garden and has an avenue of pleached trees as a wonderful backdrop and to provide privacy. 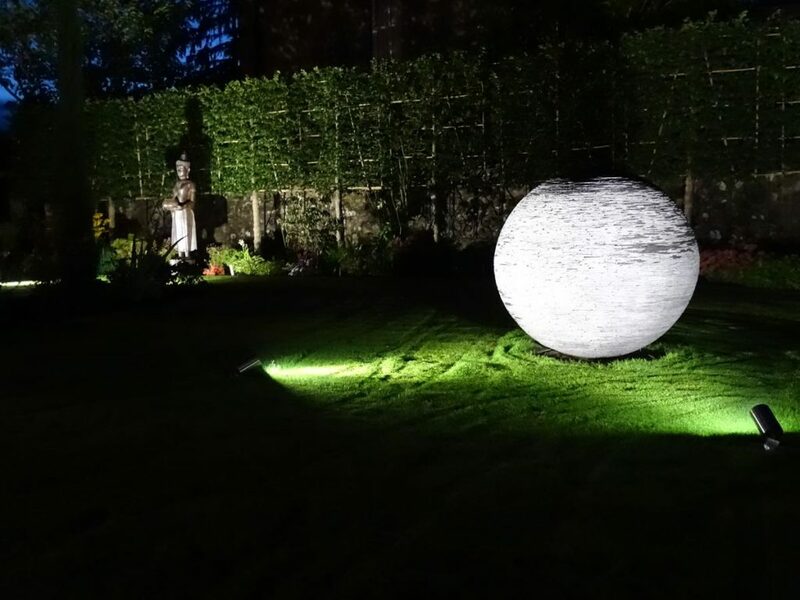 Next on the journey we find the very tactile slate orb by Tim Elms which can be enjoyed from the adjacent small patio. 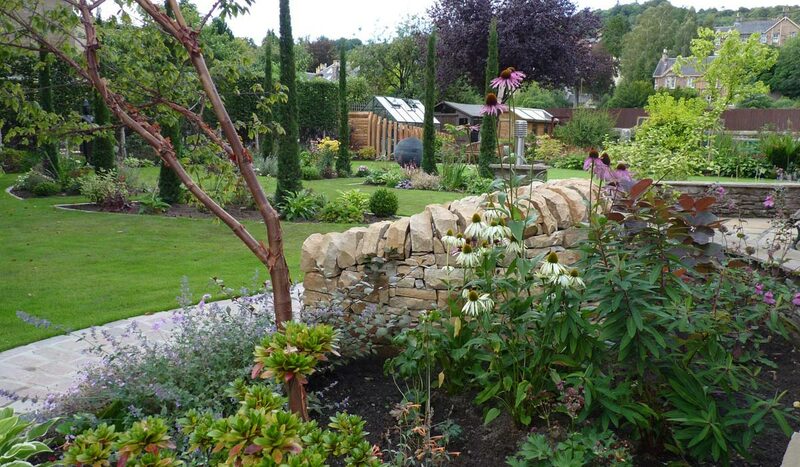 A timber feature provides screening to the veg and utility area beyond. 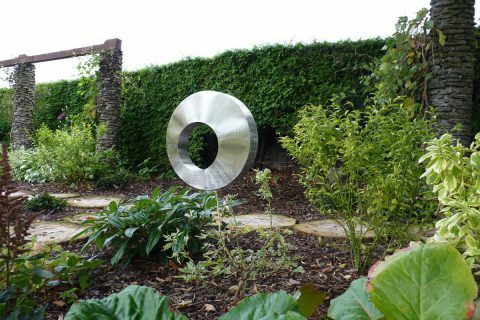 As well as the main sculptures the garden is full of wonderful smaller curios, hidden in borders and popping up as you wander around the garden. 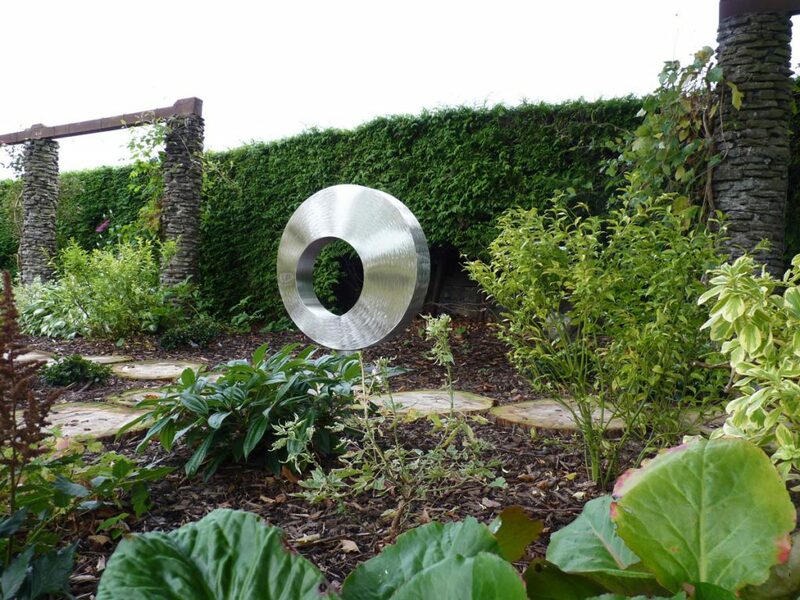 Planting includes a wide range of herbaceous to attract bees and butterflies and add lots of colour and includes achillea ‘Paprika’ and ‘Terracotta’, allium ‘Gladiator’, aquilegia ‘Atlantis’ and ‘Calimero’, brunnera ‘Jack Frost’, echinacea ‘White Swan’ and ‘Magnus’, knautia macedonia and persicaria ‘Darjeeling Red’. 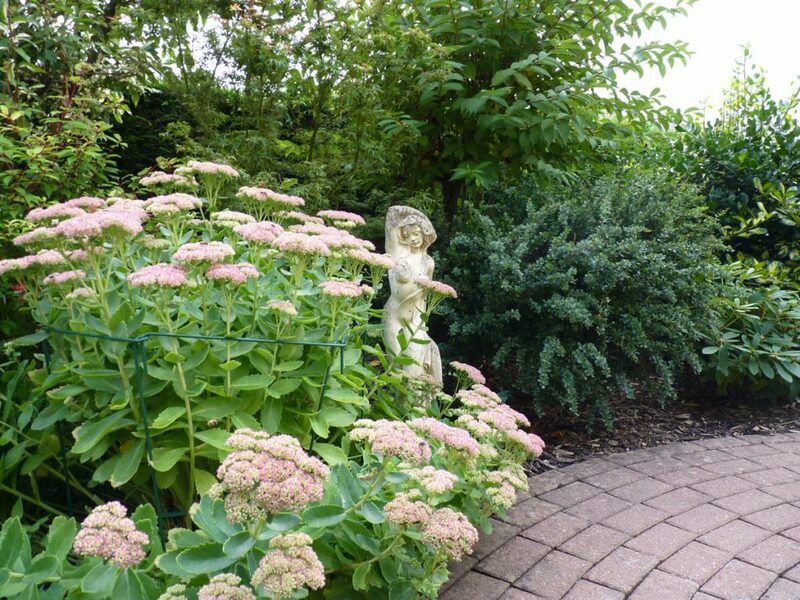 Shrubs provide structure and year round interest and include crinodendrum hookeranium, deutzia ‘Pink Pom Pom’, enkianthus campanulatus, garrya eliptica and hamamellis. 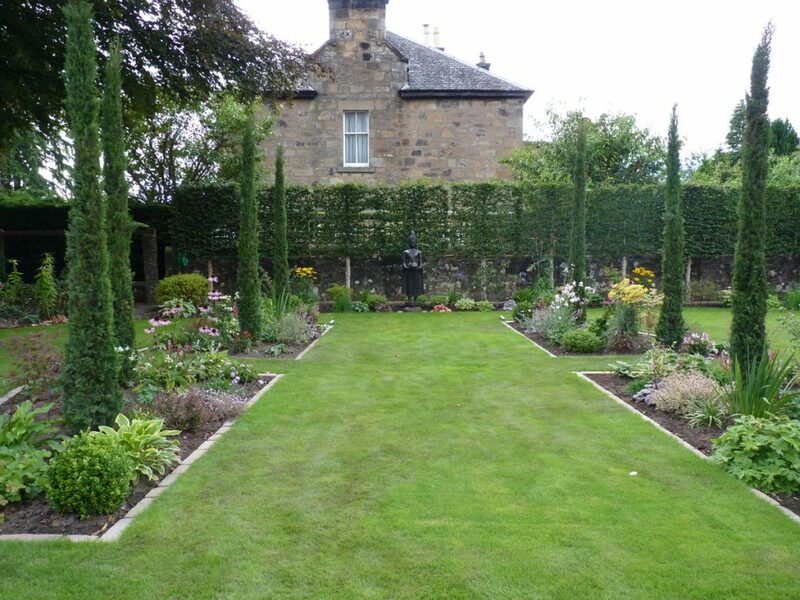 The pleached hornbeam create a wonderful boundary and other trees include a wide range of acers and a weeping pear.